Click here to view Jerry's Mass of Christian Burial. 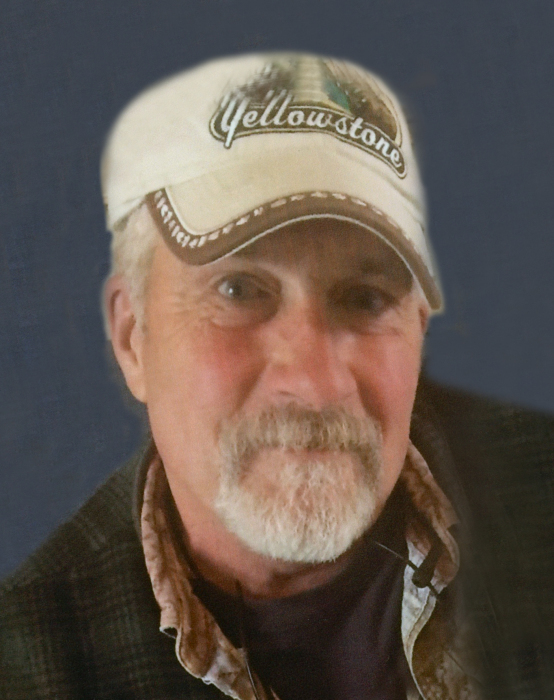 Jerome “Jerry” Charles Utecht, 64, of Aberdeen, passed away Monday, January 28, 2019, at his home. Mass of Christian burial will be at 11:00 a.m., Saturday, February 2, 2019, at St. Mary’s Catholic Church, 409 2nd Avenue NE, Aberdeen, with Father Michael Griffin as celebrant. A monument will be placed at Monument Hill Cemetery, in Mud Butte, SD, at a later date. Family and friends may sign Jerry’s online guestbook and also view his service via the live stream service link at www.schriversmemorial.com. In lieu of flowers, the family prefers to have donations in Jerry’s memory sent to: Mission 22, 1800 Blankenship Road – Suite 128, West Linn, OR 97068. (www.mission22.com) Mission 22 is an organization for the prevention of Veteran suicide. Jerome Charles Utecht was born August 19, 1954, in Minneapolis, MN, to Eugene and Donna (Judge) Utecht. He was raised and attended school in Burnsville, MN, and graduated from Burnsville High School and continued on to vocational school for one year for mechanics. Jerry was united in marriage to Julie Burgeson on April 19, 1980, in Cherokee, IA. They made their home in Minnesota, where Jerry and Julie owned and managed several grocery stores throughout the Midwest. When later living in South Dakota, he served as a Deputy Sheriff for many years. He also was a livestock hauler and drove buffalo from Canada all over the United States. Jerry was also a Financial Advisor with Edward Jones Investments and Waddell & Reed Financial, Inc. Jerry was also a pilot in his earlier years. Jerry was successful at everything he did. He strove for perfection. Jerry enjoyed spending time on his daughter and son-in-law’s ranch near Mud Butte, SD. In 2012, Jerry and Julie moved to Aberdeen, where he continued to reside until the time of his death. Jerry was a member of the National Rifle Association. He was an avid hunter and fisherman who loved the outdoors. In his spare time, Jerry also enjoyed reading and watching old Western movies. Above all, Jerry loved every minute spent with his family, especially his grandchildren, as well as his “little buddy” dog, Dudley and his service dog, Orion. Jerry took an active role in his children’s lives. In their younger years, Jerry acted as his daughter’s softball coach and attended all of his children’s sporting activities. Jerry made sure outdoor activities were a part of family life. Surviving Jerry is the love of his life, Julie Utecht of Aberdeen; a beloved father to children: Natasha (Adam) Geigle of Rapid City, SD, Courtney (Tim) Mickelson of Faith, SD, Justin Utecht of Eden Prairie MN, and Shannon (Steve) Faust of Lake Elmo, MN; 11 grandchildren: Lauren Utecht, Toby, Soleil, Ciera “CiCi,” and Ruby Mickelson, Gabriel and Remington Geigle, Dylan and Kyle Schuh, and Grace and Max Faust; his parents, Eugene and Donna Utecht of Grand Rapids, MN; brothers: John Utecht of Bristol, SD, Mark (Jennifer) Utecht of Grand Rapids, MN, Matt (Jill) Utecht of Isanti, MN and Mitch (Joan) Utecht of Elk River, MN; and sisters: Cindy (Wade) Lovelette of Elk River, MN, Lauri Utecht of Shakopee, MN, and Anne Delorme of Duluth, MN. Jerry was preceded in death by his grandparents: Jerome and Regina Utecht and Charles and Gwen Judge; and one great-nephew, James Thomas Coleman.